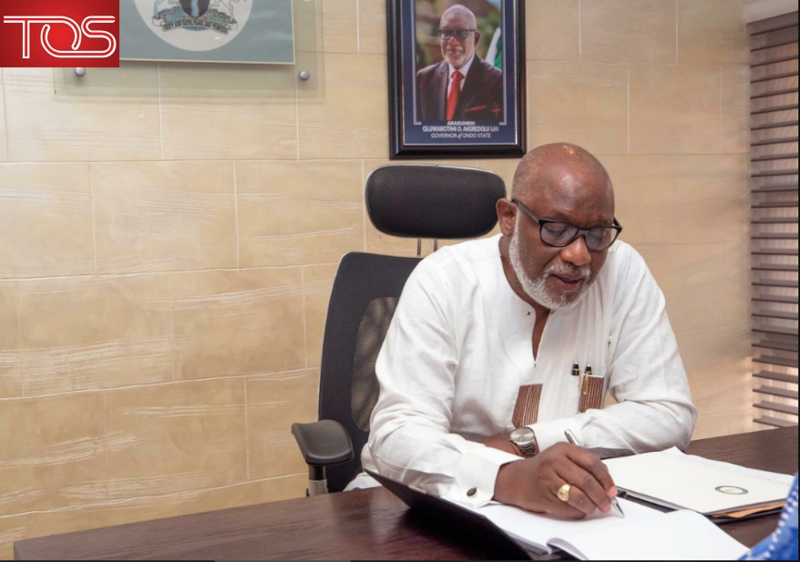 A total of N13 million was budgeted for telephone calls in the office of Rotimi Akeredolu, governor of Ondo state, in 2019. The office of Agbola Ajayi, Akeredolu’s deputy got N5 million, still for telephone calls while N2 million was set aside for telephone calls in the office of the senior special assistants to the governor. This provision was made in the budget passed by the Ondo house of assembly in January but made public last week. In a copy of the budget seen, N1.066 billion was provided for gift items during festivals and children’s party as well as hosting of state guests during special events in the office of the governor. The amount also covers donations to unspecified beneficiaries. N50 million was provided for donations in Ajayi’s office. The breakdown, which was published under special programmes in the 2019 estimates, has N500 million earmarked for “hosting of state guests during special events”. Also a total of N336 million was also budgeted to cater for gift items during festivities and children parties, just as N230 million was set aside for donations. The governor’s office also has N107 million on local travel and transport; N2 million on electricity and N25 million for office stationery and computer consumables. Also to be spent is N13 million for printing of security documents, N53 million for maintenance of motor vehicle and transport equipment, N12 million for maintenance of office furniture, N19 million for local training, N150 million for refreshment and meals and N26 million for welfare package. When he presented the bill to the lawmakers in December, Akeredolu had said the main objective of the budget was to advance the state to the “next level” through completion of ongoing projects.